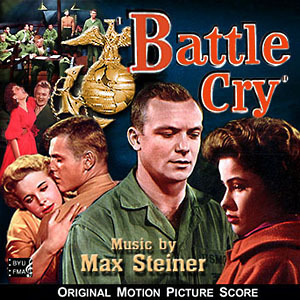 Battle Cry follows a US Marine Corps unit from boot camp to combat during World War II. 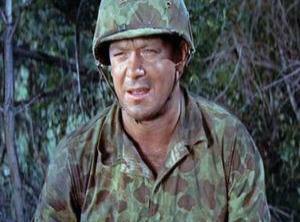 Van Heflin stars Major Sam “High Pockets” Huxley, who leads the unit through battles in Guadalcanal, Tarawa, and Saipan. Aldo Ray, Tab Hunter, and Anne Francis co-star. It’s a World War II movie. You can probably figure out what those scenes entail. Sister: You should say strong characters. Dad: Maybe a surprise ending? Mom: Joe, it’s a World War II movie. I don’t think it has a twist ending. 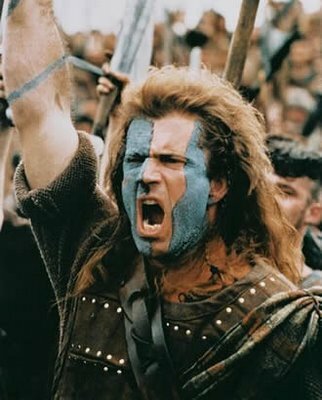 I think he means this guy. Except for Van Heflin, they all looked alike to me. 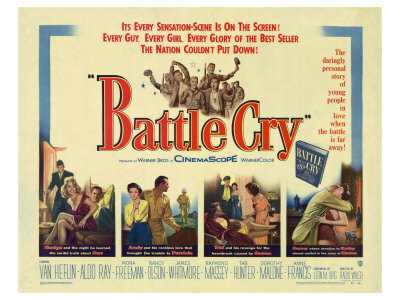 When you Google Battle Cry, this is what comes up.